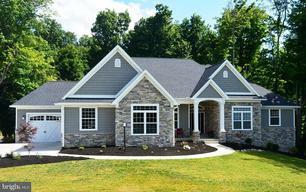 Mount Airy Real Estate - Find Your Perfect Home For Sale! "Chuck is great to work with and I have recommended him many times. He is a great person an extremely knowledgeable professional. He takes the time to get know his clients interests, budgets, families, etc... Once he understands what you are looking for he puts together a strategic marketing plan to help you get what you are looking for. I our case, he has helped us buy three houses and sell two. I can't say enough things about him and the great service he provides. "